When Is Romain Grosjean Planning To Score Some Points? With 0 Points From 3 Races, Where Does Romain Grosjean Go From here? Haas have really got themselves a fine car this season. Have they not? The VF-19 can surely set a few sparks flying off the other cars. 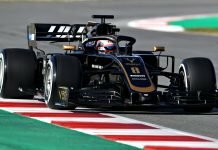 With a strong aero package that helps unfurl strong straight-line speed, it’s truly hard to pick one among McLaren, Renault, and Haas as the numero uno machine where the battle of the midfield is concerned. But that said, there seems to be something amiss for the Gene Haas-instituted side that’s running on a Ferrari engine. It seems that the current car is working just fine only for Danish driver Kevin Magnussen. 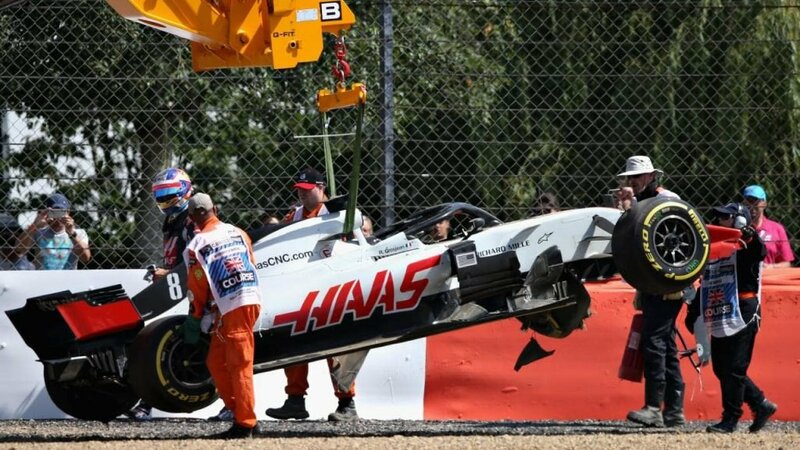 And if one were to leave out the as the 2019 Chinese Grand Prix result, then something can be easily found out and it doesn’t work in the favour of the other Haas driver, Romain Grosjean. Well, where the current standings are at, then with three races done and dusted, only the Dane has been able to score some points for the American racing team. Magnussen’s score being 8 means that his position is ninth. But that leaves us with the question, a simple one, albeit something whose time has come and something that demands an answer immediately. 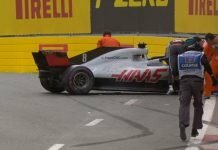 When is Romain Grosjean going to score for Haas? 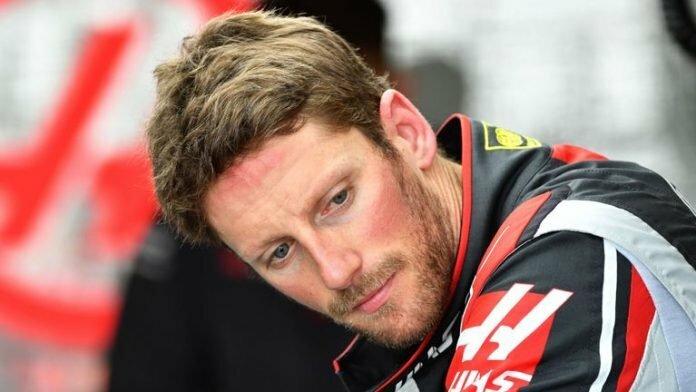 In fact, have you noted Romain Grosjean’s 2019 run thus far in the brand new season? With 3 races now behind him, the French racing driver who aces under the French flag has picked up 0 points. In fact, his critics, to which he may just be a goose to roast at this point would suggest that he’s just failed to get going. So has he or has he not? Well, while one can’t offer a perfect answer to that query, what can be said is that the earlier that the experienced driver begins to score, the better it’ll be for a team that’s stacked at a decent sixth on the Constructor Standings at the present. But that told, it doesn’t seem like whether Grosjean, has gotten around to figure what the real problem with his car is. For clearly, for starters, the Haas 2019 machine, powered by a Ferrari is no lame pushover. We’ve seen what the likes of Norris, Sainz, Hulkenberg in their battles with Magnussen experienced at Australia. The Dane, lest it is forgotten, salvaged a strong P6, and therefore earned 8 solid points for the outfit. 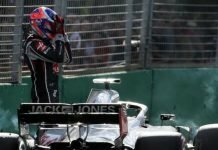 On the other hand, Romain Grosjean followed up his DNF at Melbourne’s Albert Park with another one at Bahrain’s Sakhir before heading out to F1’s mega event this weekend, the 1000th Grand Prix race. To that end, what’s rather odd for Haas’ score-sheet is the fact that the last that their current driver scored was actually at the 2018 Abu Dhabi Grand Prix, the season-ender of the last year where Romain Grosjean started from seventh and finished ninth. It’s obviously not the case of the Swiss-French driver not having it in him to score or full throttle. But what’s most important from his team perspective is that the Geneva-born with an experience of 140 Grand Prix races gets his act together. Previous article2019 Chinese Grand Prix: Alex Albon Makes Headlines for his P10! Next articleDid Ferrari issue wrong team orders to Charles Leclerc giving Vettel an advantage? 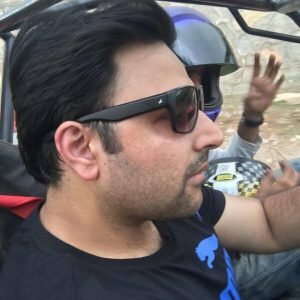 fast corners, chicanes, hairpin bends, Ice, fire, Monza, Claudia Gherini, Iced Tea, toothpicks, Black, sedans; not SUVs, unsung heroes, not highly cited ones!